What is the ICD-10 Code for Multiple Sclerosis? The ICD-10 Code for multiple sclerosis is G35. G35 is a billable/specific ICD-10-CM code that can be used to indicate a diagnosis for reimbursement purposes. The 2018 edition of ICD-10-CM G35 became effective on October 1, 2017. This is the American ICD-10-CM version of G35 - other international versions of ICD-10 G35 may differ. ICD-9-CM 340 is a billable medical code that can be used to indicate a diagnosis on a reimbursement claim, however, 340 should only be used for claims with a date of service on or before September 30, 2015. For claims with a date of service on or after October 1, 2015, use an equivalent ICD-10-CM code (or codes). Multiple sclerosis (MS), is an autoimmune disease that affects the nervous symptom, launching an attack on its own tissue. Multiple sclerosis can range from relatively benign to somewhat disabling to devastating, as communication between the brain and other parts of the body is disrupted. Multiple sclerosis affects balance, coordination, strength, and other body functions to varying degrees, based on severity and form. 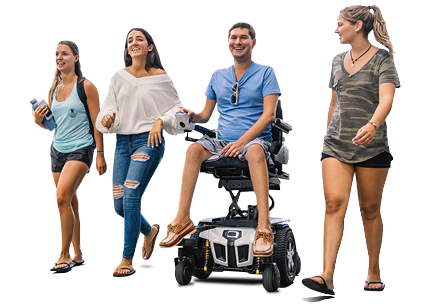 Quantum Rehab, the global leader in clinically-based, user-inspired power wheelchairs, offers technologically-advanced models specifically meeting ICD Codes for multiple sclerosis, including ICD-10 G35. For more information, please click here.